Apple Cider Vinegar for Dogs: A Wonder Elixir for Your Dog? Apple cider vinegar is an excellent tool to combat many of your dog’s health problems. Apple cider vinegar for dogs works because it acts as an anti-bacterial and an anti-fungal as well as having several detoxifying properties that can lead to a happier, healthier dog. But, what is apple cider vinegar and how is it made? We’ll answer these questions as well as giving you several benefits of apple cider vinegar when you use it properly to treat your dog’s various health issues. 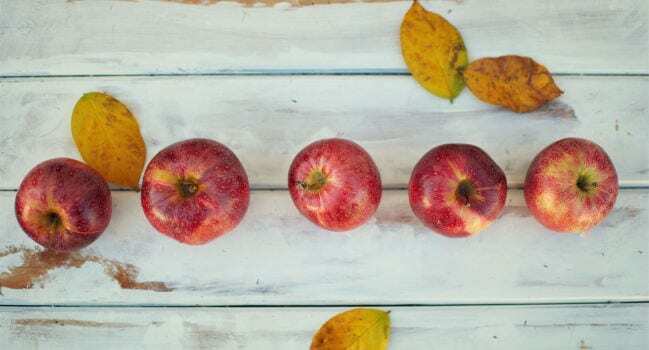 What is Apple Cider Vinegar (ACV) and How is it Made? At its core, apple cider vinegar is a type of vinegar that you get when apple cider ferments past the alcohol stage. For those of you that don’t know, fermentation is where the sugars in food or liquid are broken down by yeast and bacteria. When fermentation first starts, the sugar content found in the apple cider will turn into alcohol. If it’s left to ferment into a second stage, the acetic acid bacteria start to take over, and they turn your alcohol content to an acid which produces the slightly bitter taste vinegar is well known for. This entire process takes around 11 weeks from start to finish with the first fermentation process lasting around four weeks and the second stage lasting up to six weeks. The longer someone allows apple cider vinegar to ferment, the stronger end product they’ll have. Apple cider vinegar contains several ingredients, but the ones you hear most about are citric acid, acetic acid, lactic acid, and malic acids along with higher potassium levels. Citric Acid – Citric acid is a very weak organic acid that is naturally found in citric fruits. It acts as a natural preservative as well as giving a slightly sour flavoring. Acetic Acid – Acetic acid is the main component that turns apple cider into apple cider vinegar by converting the alcohol. It determines how strong the vinegar flavoring is by the amount of Acetic acid present in the apple cider vinegar. Lactic Acid – Lactic acid also helps turn apple cider to apple cider vinegar by thickening the apple cider. It helps to break down the sugar content in the first fermentation stage. Malic Acid – Malic acid acts as a preservative in the apple cider vinegar to lengthen its shelf life. Is Apple Cider Vinegar Safe for Dogs? Over the past several years, apple cider vinegar has exploded into popularity as a multi-use tonic that works on everything from internal to external health issues. But is it safe to give to your dog for various ailments? A teaspoon or two of diluted apple cider vinegar shouldn’t prove to give your pet difficulties. However, if a pet has kidney problems you may want to rethink it as apple cider vinegar has a high acid count, and pets with kidney problems can’t process this very well. There also isn’t a lot of hard data to suggest that giving your pet apple cider vinegar can have a negative impact, but the same is true for the other side as well. If you plan to feed your dog apple cider vinegar, watch how they react and stop if it seems to be bothering them. Ear infections are typically caused by fungus or yeast collecting in your dog’s ear canals and building up. Apple cider vinegar is a natural anti-fungal and an anti-bacterial, so it works to kill the bacteria or fungus that causes the ear infections in your dog. You should dilute the apple cider vinegar by adding one part water to one part apple cider vinegar. You can apply the apple cider vinegar with a syringe or by putting it in a spray bottle and spritzing it into your dog’s ears and then wiping them out with a clean cotton ball. Apple cider vinegar has a strong scent and a strong taste that both fleas and ticks strongly dislike. By applying a diluted form of this natural solution to your dog’s coat and the surrounding area, you’re creating a natural flea and tick repellent. There are several ways you can go about using apple cider vinegar to repel fleas and ticks. You can dilute 2 or 3 tablespoons of it into your dog’s bath water, make a spray by mixing one part apple cider vinegar and one part water and spritzing your dog or add a teaspoon of it into their water. Yeast infections and fungus are two things that can cause your dog to have itchy skin or itchy paws, especially in the summer months when it’s damp and hot outside. It can also be a result of feeding your dog poor quality food or allergies. Apple cider vinegar will work to kill yeast and any fungus that may be causing your dog to itch or bite in the affected areas because it has anti-fungal and anti-bacterial properties. You can bath your dog with one cup of apple cider vinegar added to their bathwater, or you can add dilute it with water and wipe your dog’s itchy areas with apple cider vinegar soaked cotton balls. Many white furred dogs will eventually develop reddish-brown tear stains under their eyes, around their muzzles, and between their toes. These can be a sign of health problems, so you should consult your vet before attempting any natural remedies. You can raise your dog’s pH levels slightly by mixing apple cider vinegar into their drinking water. This heightened pH level can help combat the microorganisms that contribute to the severity of your dog’s tear stains, and you can also give them a diluted apple cider vinegar rinse when they’re done with their baths. Almost every dog will experience hot spots at one point in their lives, and these uncomfortable spots can be due to allergies, bacterial infections, or fungal infections. If you don’t treat them, your dog can scratch the spots raw, and this can open them up to infections. Dilute your apple cider vinegar with a 50/50 water mix and put it into a spray bottle. Spray this mix directly on your dog’s hot spots and the anti-bacterial and anti-fungal properties will go to work destroying the cause of the hot spot to give your dog relief. As your dog ages, they can naturally begin to develop stiff and painful joints, and arthritis can be debilitating if you don’t take action. Calcium deposits in and around your dog’s joints can lead to loss of flexibility, and this can lower your dog’s overall quality of life. By feeding your dog apple cider vinegar in their water, it’ll help to break down these calcium deposits quickly and naturally. In turn, your dog can start moving easier and have less stiffness, swelling, and discomfort. 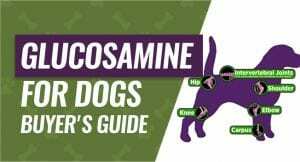 Supplementing with glucosamine can also help your dog by strengthening the cartilage around your dog’s joints. Many dogs have sensitive digestive systems, and this can easily lead to diarrhea, vomiting, lack of appetite and in severe cases things like hair loss and excessive gas. This can be due to allergies or simple sensitivity. Apple cider vinegar can help to reinforce your dog’s digestive system because it’ll introduce probiotics into your dog’s digestive tract. 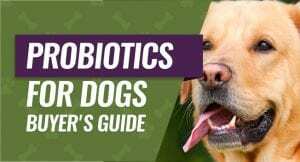 It’ll also help cut down on any bad bacteria that may be contributing to their digestive issues and sensitivity, and this can create a happier, healthier dog. Your dog can sprain their muscles easily, and it can take weeks for them to heal properly depending on which muscles were sprained. It can happen as easily as your dog loses traction on the floor as they’re walking or running and this sudden twist can result in a sprain. You can massage apple cider vinegar into your dog’s sprained muscles to help to give them some relief from the pain and swelling. The acid content in the vinegar has been shown to help relax and cool your dog’s skin and muscles, and this can give them some relief. Dandruff is another common condition many dogs develop over their lifetimes, and it has several potential triggers. Dandruff can be caused by allergies, parasites, dust, fungus, or bacteria, and it can quickly develop into hot spots because it can cause your dog to itch. Using an apple cider vinegar rinse can help control your dog’s dandruff problem due to the high acid content and the anti-fungal and anti-bacterial properties. You should mix equal parts water and equal parts apple cider vinegar and rinse your dog after their bath or spot treat them with a diluted mix and cotton balls. Did you know that your dog’s teeth and nail health can be directly affected by their potassium levels? Having a low potassium level can lead to common ailments like tooth decay and splitting nails because having a balanced potassium level is essential to supporting healthy teeth and nails. Feeding your dog apple cider vinegar is an easy and natural way to gradually increase their potassium levels because apple cider vinegar has a high potassium content. In turn, this can help fight tooth decay and splitting nails. Mange is a common inflammatory ailment that is usually due to an infestation of mites in your dog’s skin and on their hair follicles. While there are two types of mange, if you don’t treat it quickly it can become life-threatening to your dog, and it causes sore patches and hair loss. You can feed your dog apple cider vinegar mixed into their food to help work from the inside out and apply it topically in a diluted format. It’ll kill the mites that cause mange, and it’ll help calm the inflammation. UTIs and many bladder issues your dog may develop can be blamed on a bacterial infection. They may have trouble going to the bathroom, strain when they go to the bathroom, or have very dark and strong urine. The acidity found in apple cider vinegar will help to create an environment that will kill the bacteria that is causing the bladder infection or the UTI. It’s also important to note that this is a home remedy, so you will want to check with your vet before giving it to your dog. According to Kimberly Alt of Canine Journal, adding ACV to your dog’s water bowl can help your dog recover from an UTI. Just add 1 teaspoon of apple cider vinegar to your small dog’s water (or 1-2 tablespoons for a large dog). Next, just repeat up to 2 times per day for seven to ten days depending on the severity of your dog’s UTI. They also mention that it is best to have a second water bowl without ACV in it just in case your dog doesn’t like the taste. Dogs can develop allergies just like humans can develop allergies over the course of their lifetimes. For dogs, this typically means that they’ll develop dry, itchy skin, dandruff, and even hot spots if you don’t start treating them early on. Apple cider vinegar’s anti-inflammatory properties are an excellent way to help your dog combat their allergies. You can feed it to your dog in their water, give them an apple cider rinse after their bath, or create a diluted apple cider vinegar spray to work into their coats to help decrease their allergy symptoms. Having a well-balanced pH level can directly affect how healthy or unhealthy your dog is, and it’s the one thing many people forget when they’re trying to figure out what’s wrong with their dog. You can test your dog’s pH levels by purchasing test strips and having your dog urinate on them. To re-balance your dog’s pH levels, you can add apple cider vinegar to their water or their food up to two times a day. You do want to continue testing their pH level to ensure that it doesn’t go too high. Your dog may not be getting all of the vitamins, nutrients, and minerals they need out of their daily diets. If you leave this unchecked, these deficiencies can lead to more serious health problems. There is a high vitamin, nutrient, and mineral count in apple cider vinegar, and this is why it can make an excellent dietary supplement for your dog. 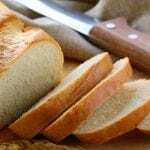 It can help balance out their diets and ensure that they’re getting the proper levels they need to be happy and healthy throughout their lives. Eczema will show up on your dog as inflamed, red, itchy, and sore spots that can spread all over. Commonly, allergies are to blame for a eczema problem, but it is also thought that flea residue can be the cause of this problem, and it can spread as your dog scratches and bites at the area. Applying a diluted mist of apple cider vinegar and working it into your dog’s coat to the skin level is one way to help heal an eczema outbreak. The anti-inflammatory properties will help soothe the skin, just make sure the skin isn’t broken as it’ll burn if you add the vinegar to the area. Normally, a healthy dog won’t have an odor, but an unhealthy dog may develop one. The main causes of dog odors are the development of fungus or yeast in your dog’s skin, and this can be caused by oil build-up or residue. To help eliminate your dog’s odor and their yeast or fungus problem, bathe them and rinse them with an application of diluted apple cider vinegar. The acidity levels combined with the anti-fungal properties will help kill the yeast or fungus causing the odors and create an environment where it can’t come back. Now that you know everything you can help treat with apple cider vinegar, you want to ensure you have the correct dosage to give to your dog. The exact dosage of apple cider vinegar you give you dogs does depend on the severity of the problem, what you’re trying to treat, and your dog’s weight. 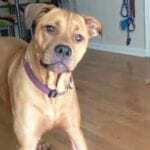 What Kind of ACV is Best for Dogs? Although there are several different types of vinegar available to buy, you generally want to purchase a plain apple cider vinegar to use on your dog. Bragg’s Organic Raw Apple Cider Vinegar is a good choice when it comes to picking a specific vinegar because it comes bottled with the ‘mother’ intact. This simply means that you’re getting an unpasteurized apple cider vinegar that contains live cultures. These live cultures may be more effective when it comes to treating your dog’s internal or external issues. It’s also organic, so you won’t have to worry about any fillers or chemical-laden ingredients. Both coconut oil and apple cider vinegar contain powerful anti-bacterial and anti-fungal properties, and they’re both sold as a dietary supplement for dogs to help cure a variety of issues. Both of these supplements can help improve your dog’s skin and coat health, but coconut oil contains a very high amount of saturated fat and almost no vitamins or minerals. On the other hand, apple cider vinegar contains vitamins and minerals to help support your dog’s entire system. This means that apple cider vinegar can be more effective in maintaining your dog’s system as a dietary supplement because they’re getting more out of it that they’re getting with a coconut oil supplement. White vinegar actually isn’t white, it’s clear, and it is typically used as a cleaning agent due to being produced from other vinegar types themselves. It contains a higher acidity level, and it’s generally considered to be harsher than apple cider vinegar. Apple cider vinegar comes from fermenting apple cider, and it is widely considered to be much more effective in helping to solve common health issues in humans and dogs. The lower acidity levels make it a gentler formula to dilute and use directly on your pet as well. While you can use white vinegar in place of apple cider vinegar, it usually isn’t recommended. As always, if you’re in doubt, ask your veterinarian which one they’d prefer. As with anything, apple cider vinegar has controversies surrounding it that may make pet parents apprehensive to use it on their dogs. For example, many people claim that although apple cider vinegar is a source of vitamins in minerals, people don’t realize how small the amounts really are. Yes, you do get vitamins, minerals, and probiotics from apple cider vinegar, but it’s a very small dose. 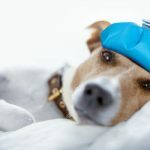 It’s not a miracle cure, and it may take you giving it to your dog on a daily basis before you start to see a lot of improvement. People are also worried about the potassium content that you can find in apple cider vinegar, and some people have claimed that it can negatively affect their dog’s health. However, Bragg Apple Cider only contains 11 milligrams of potassium per tablespoon, and this isn’t a lot when you consider that you get 487 milligrams of potassium in a single banana. 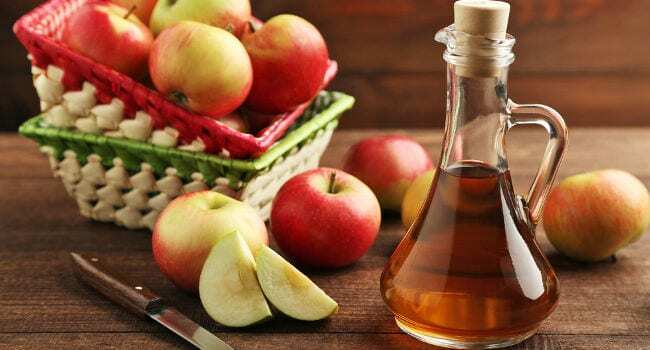 When it’s used correctly, apple cider vinegar has several health benefits that you simply can’t ignore, and it’s considered to be generally safe to feed your dog or apply it topically. It’s an excellent tool for treating internal and external problems, and it may help your dog lead a happier, healthier life.